I am delighted to report that I'll be on the Monster Mash panel at the San Diego Comic-Con next week. 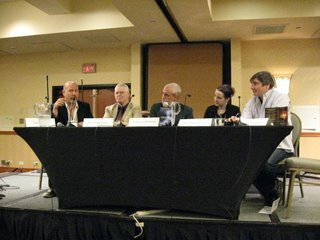 Fellow panelists include Amber Benson (author of Death's Daughter); Walter Greatshell (author of Xombies: Apocalypse Blues); S.G. Browne (author of Breathers: A Zombie's Lament); Marlene Perez (author of Dead Is So Last Year); Rob Thurman (author of The Cal Leandros novels); and Samantha Sommersby (author of Forbidden: The Temptation). 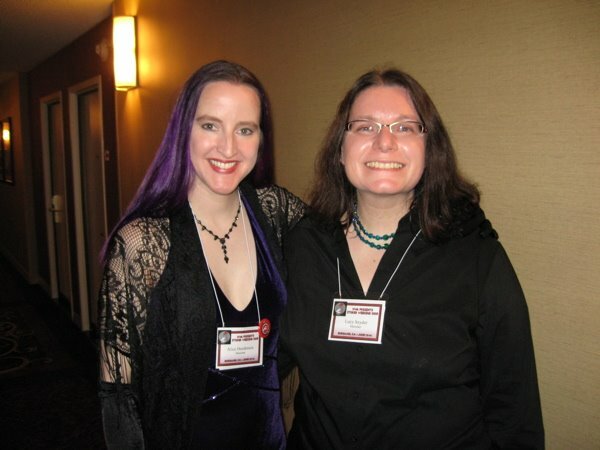 Our moderator will be Maryelizabeth Hart, of Mysterious Galaxy Books. An autographing session will immediately follow the panel. I'm greatly looking forward to it! The Stoker Awards Weekend was the best that I've ever seen this year. 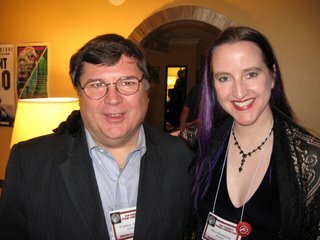 Organizers Lisa Morton and John Little arranged for so many extra events that it made the weekend incredible. They had workshops, kaffeeklatches, and great panels. The night before the Stokers began, I signed books at the incredible horror bookstore Dark Delicacies in Burbank. On Friday I attended HWA President Deborah LeBlanc's workshop on book promotion, which was incredibly helpful. The Slush Pile Players performed Friday night at the Gory Ghoul Ball. Made up of horror writers, the band featured Heather Graham, Dave Simms, Alexandra Sokoloff, Nathan Walpow, Harley Jane Kozak, Tracy Carbone, Rhodi Hawk, Shayne Pozzessere and Juan Roca. On Saturday I was on a panel about "Breaking Into The Mass Market," with fellow writers Hank Schwaeble, John Skipp, and Cody Goodfellow, and editor David Hartwell. 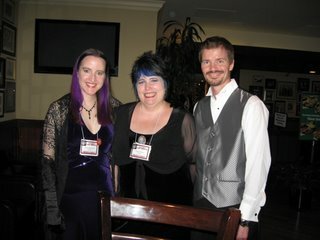 Saturday night was the Stoker Awards event, a posh banquet followed by the announcements of the awards. Many amazing writers won for their work. Afterward we all gathered and talked. It was fantastic to catch up with my fellow writers. I'm thrilled to appear in the latest issue of Dark Scribe Magazine, in an interview by Vince A. Liaguno. We talk about adventure in the outdoors and the roots of my fascination with mythology and folklore!